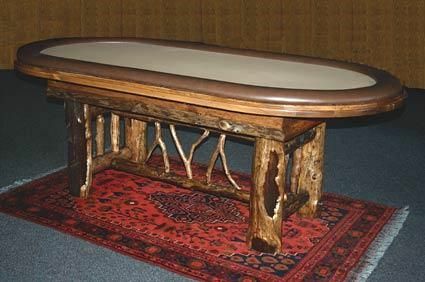 Our 2 in 1 Texas Hold'em Poker Table is shown here in our Wilderness style, but could also be built and stained to match several of our other designs. It is shown with a solid camel color felt, but we can offer it in any of the available felt colors as well as a printed felt (which is available for an additional charge). 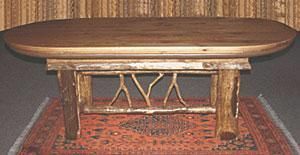 The second picture shows the optional dining top.